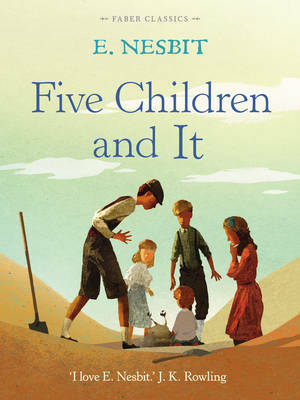 E. Nesbit's original story, now with a brand new cover by Nick Sharratt to accompany Jacqueline Wilson's number one bestselling sequel Four Children and It. Jacqueline Wilson is the multi-award winning, phenomenally successful creator of Tracy Beaker, Hetty Feather and Lily Alone. When Cyril, Anthea, Robert, Jane and their baby brother go digging in the gravel pit, the last thing they expect to find is a Psammead - an ancient Sand-fairy! Having a Sand-fairy for a pet means having one wish granted each day. But the children don't realize all the trouble wishes can cause . . . This book is also available as an audio download or CD, read by Samantha Bond. 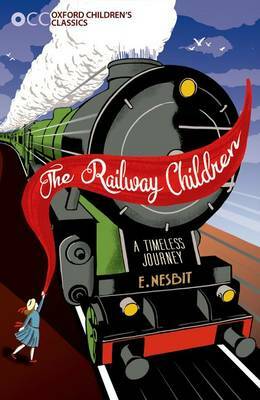 Edith Nesbit (1858-1924) began writing stories for children after a popular children's magazine of the time approached her to write pieces about her childhood. 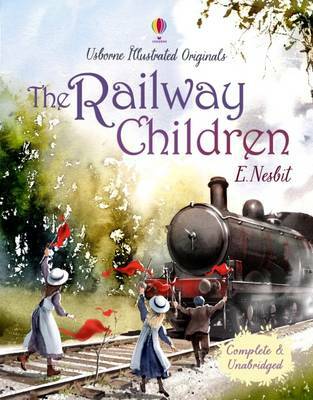 The result was a series of bestselling children's books that have remained firm favourites, including The Railway Children, The Story of the Treasure Seekers and The Phoenix and the Carpet.